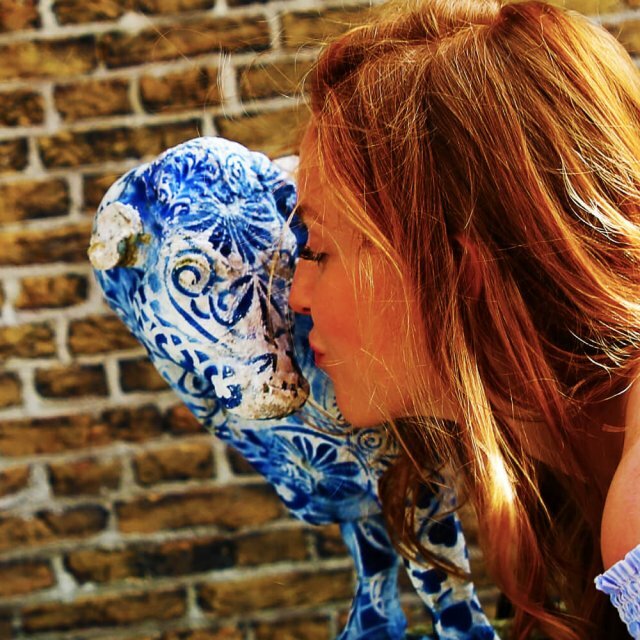 Whenever you visit Delft, a visit to one of the earthenware factories is an absolute must! 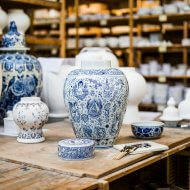 See and experience how the world-famous Delft Blue ceramics are still made in Delft in the same authentic way. Royal Delft (formally The Royal Porcelain Bottle) is the only remaining earthenware factory from the 17th century where the world-famous Delft Blue ceramics are still made. You can see the master painters performing their craft with the same passion and vitality in accordance with centuries-old traditions. 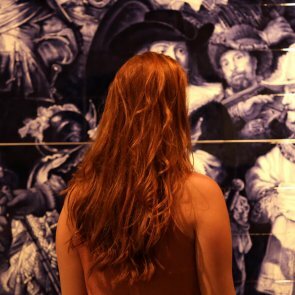 In the museum you can admire all the highlights of the iconic collection of Delft Blue and Royal Delftware, such as the blue and white tulip pyramid. 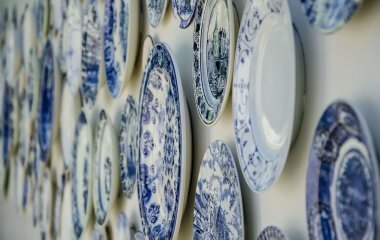 During the Royal Delft Experience you can discover the complete history and learn all about the production process of Royal Delftware. Finally, you can wander through the factory and see the production process up close for yourself. 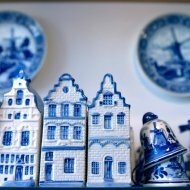 A walk along the ceramic route will take you to Royal Delft in 25 minutes. But you can also take the Delft City Shuttle which stops right outside Royal Delft. Delft Pottery De Delftse Pauw is a family business where you can see how authentic Delftware is made during a free tour of the pottery. In de showroom and the souvenir shop you will find a wide range of hand-painted Delftware products. Fancy a nice walk? 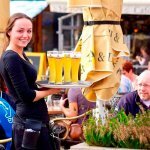 You can walk from the city centre along the ‘De Vliet’ canal to the Delft Pottery De Delftse Pauw in only 25 minutes. De Candelaer is a small pottery right in the centre of the city where Delftware pottery is still crafted, painted, and fired in the traditional way. 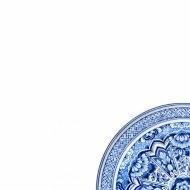 You will be surprised by the wide range of both traditional and modern Delftware products on offer. In The Blue Tulip ceramics workshop, which is also right in the heart of the city, the painters decorate each piece by hand in the traditional way. 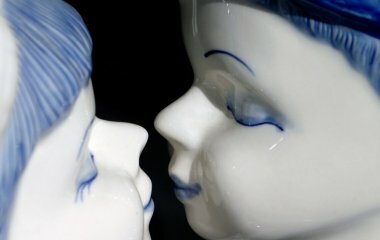 Would you like to get a unique piece of ceramic art? The Blue Tulip will be happy to make a customised piece for you.